Keypoint Intelligence - Buyers Lab, the world’s leading authority on the document imaging industry, announced the winners of its inaugural Reliability award. Today, Keypoint Intelligence - Buyers Lab, the world’s leading authority on the document imaging industry, announced the winners of its inaugural Reliability award. 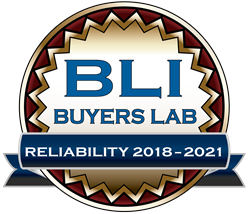 Presented once every three years, the Buyers Lab Reliability awards will honor the manufacturers whose product lines are determined to be the most reliable, based on the combined results of all models subjected to Buyers Lab’s rigorous reliability testing. Printer and MFP reliability is a key concern for buyers, since a reliable device helps minimize downtime, resulting in improved worker productivity. After compiling performance data for every major OEM that submitted devices for laboratory testing from 2012 to 2018, the highly experienced analyst team has selected the vendors whose product lines stand out above the rest.